Conditions of Use : PepperTraders.com, West Texas Pepper Traders, Inc.
All website design, text, graphics, sound, software and other content, and the selection and arrangement thereof, are the property of PepperTraders.com or its licensors, and are protected by United States and international copyright law. All rights to such materials are reserved to their respective copyright owners. Permission is granted to electronically copy and to print in hard copy portions of this website for the sole purpose of placing an order with PepperTraders.com or using this website as a shopping vehicle. Any other use of materials on this site, including without limitation, reproduction for purposes other than noted above, modification, distribution, replication, and commercial or other exploitation, or creation of derivative works, without the prior written permission of PepperTraders.com, is strictly prohibited. Save and except those logos, page headers, custom graphics and icons that are licensed or approved for use by other entities; PepperTraders.com, and all logos, page headers, custom graphics and icons are service marks and/or trademarks of PepperTraders.com or its licensors or affiliates. All other trademarks, service marks, product names and company names or logos that appear on this site are the property of their respective owners. PepperTraders.com is providing this site and its contents on an "as is" basis. PepperTraders.com and its officers, directors, employees, agents, licensors, suppliers, content providers and the like (together, "affiliates") make no representations or warranties of any kind, express or implied, with respect to this site or its contents, including without limitation the products, information or services offered or sold on or through this site or any Linked Site and the uninterrupted and error-free use of this site. PepperTraders.com and its affiliates expressly disclaim all such representations and warranties, including without limitation all warranties of merchantability, accuracy, timeliness, completeness, fitness for a particular purpose and non-infringement. PepperTraders.com and its affiliates do not warrant that the site or files available on the site will be free from corrupted data, computer viruses or similar destructive or contaminating code. No oral or written statements by PepperTraders.com or its affiliates will create any warranty not expressly set forth herein. Your use of this site and any Linked Site is at your sole risk. Please note that there may be certain orders that we are unable to accept and must cancel. We reserve the right, at our sole discretion, to refuse or cancel any order for any reason. For your convenience, you will not be charged until your payment method is authorized, the order information is verified for accuracy and your order is shipped. Some situations that may result in your order being cancelled include limitations on quantities available for purchase; inaccuracies or errors in product or pricing information; product or ingredient restrictions mandated by local, state, national or international regulations; or problems identified by our credit and fraud avoidance group. We may also require additional verifications or information before accepting any order. We will contact you if all or any portion of your order is cancelled or if additional information is required to accept your order. If your order is cancelled after your credit card has been charged, we will issue a credit to your credit card in the amount of the charge. PepperTraders.com strictly follows all national and international regulations regarding the sale, purchase and shipment of any product or product ingredient that is considered restricted or prohibited by any law within the United States or abroad. We work hard to provide accurate product and pricing information. However, pricing or typographical errors may occur. In the event that an item is listed at an incorrect price or with incorrect information due to an error in pricing or product information, PepperTraders.com shall have the right, at our sole discretion, to refuse or cancel any orders placed for that item. If an item is incorrectly priced, we will either contact you for instructions or cancel your order and notify you of such cancellation. Prices and availability are subject to change without notice. 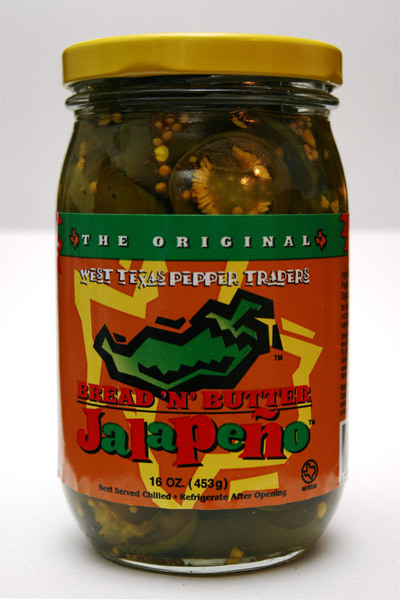 PepperTraders.com reserves the right to limit the quantity of items purchased per person, per household or per order. These restrictions may be applicable to orders placed by the same account, the same credit card, and also to orders that use the same billing and/or shipping address. We will provide notification to the customer e-mail and/or billing address provided should such limits be applied. PepperTraders.com also reserves the right to prohibit sales to dealers. This Agreement shall be governed by and construed in accordance with the laws of the State of Texas without regard to choice of law rules. Each user agrees to submit to personal jurisdiction in the State of Texas and further agrees that any cause of action arising from or relating to the use of this site or this Agreement shall be brought exclusively in Federal or State Courts for Taylor County, Texas. This Agreement constitutes the entire and only Agreement between PepperTraders.com and each user of this site with respect to the subject matter of this Agreement and supersedes any and all prior or contemporaneous Agreements, representations, warranties and understandings, written or oral, with respect to the subject matter of this Agreement. You agree to review this Agreement prior to your use of this site and your use of this site shall be deemed acceptance of and assent to this Agreement by you. The failure of PepperTraders.com or its affiliates to insist upon strict adherence to any term of this Agreement shall not constitute a waiver of such term and shall not be considered a waiver or limit that party's right thereafter to insist upon strict adherence to that term or any other term of this Agreement. You agree that regardless of any statute or law to the contrary, any claim of cause of action arising from or relating to use of this site or this Agreement must be filed within one (1) year after such claim or cause of action arose, or will be forever barred. The "No Warranty - Disclaimer" and "Limitation of Liability" provisions of this Agreement are for the benefit of PepperTraders.com and its affiliates as defined herein, and each of these individuals or entities shall have the right to assert and enforce these provisions directly against you on its own behalf. With the prior agreement of PepperTraders.com, any claim, dispute or controversy arising or concerning this site and/or this agreement shall be decided by binding arbitration with the Rules of the American Arbitration Association and any such arbitration pro brought and held in Taylor County, Texas, USA. The decisions of the arbitrators shall be conclusive upon all parties involved and judgment upon any award of the arbitrator by any court having competent jurisdiction. This provision shall be specifically enforced by a court of competent jurisdiction.